November 2014 saw the release of the latest addition to Bob Dylan’s ‘Bootleg Series’, a supplementary range of albums that have gathered rare or unreleased material from his vaults. The 11th instalment, ‘The Basement Tapes Complete’, is significant, however, in that it documents not only the most secretive and mythical period of Dylan’s career, but also the spark that ignited the genesis of his backing group’s new destiny. The 138 tracks assembled are legendary, having been the subject of much discussion, coveting and trafficking by fans and bootleggers alike. They bridge the gap between the mercurial, energy fuelled Dylan of ‘Blonde On Blonde’ and the pious proto-country Dylan of ‘John Wesley Harding’, and between the barroom brawl of Levon And The Hawks and their rustic Americana incarnation, The Band, and in their spontaneous grooves reveal the process of each transition. Levon And The Hawks had been recommended to Bob Dylan in late-1965, upon his requirement of a live band to tour his new and controversial ‘electric’ sound. The quintet – four Canadians (Robbie Robertson on guitar, Rick Danko on bass, Richard Manuel on piano, Garth Hudson on keyboards) and their Arkansas-born leader and drummer, Levon Helm – who had made their name on the rock ‘n’ roll circuit behind rockabilly bandleader Ronnie Hawkins, accepted Dylan’s offer, and braved the baying audiences that largely derided Bob’s transgression from folk and protest music. Levon quit after just a few months, while his bandmates endured the remainder of the tour, which included Dylan’s infamous date at Manchester’s Free Trade Hall in which a fan was heard to yell “Judas!” to his perceived fallen idol. The tour was on a break in the summer of 1966, when Dylan lost control of and crashed the Triumph Tiger 100 motorcycle he was riding on the outskirts of Woodstock, in upstate New York. This incident has been magnified to portentous and fanciful status; speculation mounted that the crash never happened, that Dylan was really in rehab. What is known, however, is that in the aftermath of the accident, Dylan found the opportunity to withdraw from the escalating pressures of a schedule and fame that had increased to maddening levels in recent years. Now living in close proximity, the friends would gather and make music – first at Dylan’s family home, then at The Hawks’ house, which they had by now dubbed ‘Big Pink’, where they would assemble and record in the confines of the basement. 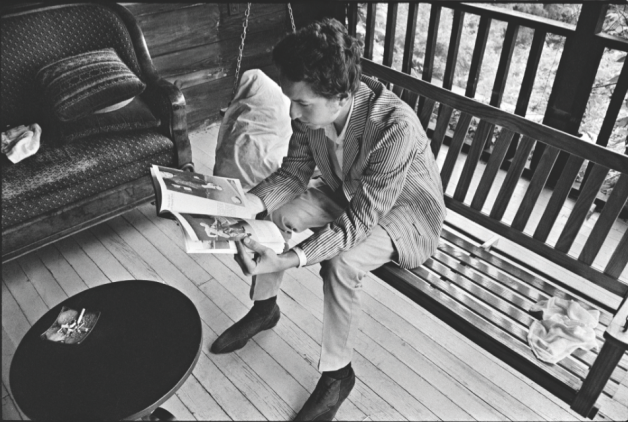 Next, Dylan would take himself off to the study, where he’d conjure lyrics at the typewriter, before they’d all meet downstairs and set to work. Only now can the true extent of those performances be appreciated. Of the 24 tracks on the original 1975 release of ‘The Basement Tapes’ (put together by Robertson amid mounting pressure to reclaim the rights and royalties from bootleggers), 23 were original compositions, suggesting a prolific accumulation of writing in those sessions. However, ‘The Basement Tapes Complete’ reveals a more informal theme to proceedings, where the days’ work was interlaced with cover versions of songs by artists such as Johnny Cash, Hank Williams and Elvis Presley. Dylan, meanwhile, exhibited his keen knowledge of folk and country music by requesting attempts at standards and rare records he’d uncover – uncharted territory for The Hawks. It was a disciplined yet productive arrangement, where the differences between the worlds of ‘upstairs’ and ‘downstairs’ were pronounced. Once descended, they were there to work. “For the period of time that [Bob] was there, we were all creating or repairing,” Garth says. “And what we did there was come in and go out as if it was a regular day at home. Yes, a regular day at home: orderly but loose,” he laughs. Garth was responsible for recording proceedings, keeping the quarter-inch Ampex tape machines easy to hand on a table behind his back. It’s thanks to him that these momentous sessions are available for us to study almost 50 years later, and you can hear the intimacy immediately in the homespun songs. They veered from the sublime to the ridiculous – Dylan was in his element away from the scrutiny of his fans, and relished the opportunity of such light-hearted respite. Hence the playfulness of songs like ‘Million Dollar Bash’, ‘Please Mrs. Henry’, and ‘Quinn The Eskimo’. But there are also traces of Dylan’s incisive and inquisitive side there, as references to the Old Testament suggest an ongoing conflict between salvation and deliverance – tracks like ‘I Shall Be Released’ and ‘Sign On The Cross’ are clear paving stones in the direction of ‘John Wesley Harding’’s moral backbone. Dylan’s intentions for these sessions, it appears, was to feed the insatiable appetite for those artists clambering to cover original material from him, and was collecting ideas that would later be offered out for him to profit from the publishing royalties. Those who rushed to the bait included Manfred Mann (‘Quinn The Eskimo’), Julie Driscoll and Brian Auger (‘This Wheel’s On Fire’) and The Byrds, who included ‘You Ain’t Goin’ Nowhere’ and ‘Nothing Was Delivered’ on their 1968 album, ‘Sweetheart Of The Rodeo’, which kicked down the country rock door Dylan had opened. The Hawks, meanwhile, could take advantage of their home studio, and continued to work on their own without Bob. Put to tape were their own first forays into a new sound that was primitive and pastoral. ‘Katie’s Been Gone’ and ‘Ruben Remus’ are two examples of the group’s maturation as songwriters, introducing their vivid use of characterization in stories that owed much to Dylan’s influence, advancing them to pursue their own vision and, upon the return of Levon Helm to the fold, rechristen themselves what everyone around Woodstock referred to them as: The Band. Fast-forward 47 years, in which time Dylan obsessives have tirelessly sought out the 100-plus missing tapes that he features on, and we finally have his Holy Grail. ‘The Basement Tapes Complete’ arrived as an offshoot of a project began 20 years ago when Toronto-based archivist Jan Haust approached The Band with the idea of sourcing and collating all the Levon And The Hawks recordings for a proposed boxset. In 2004, he was requested by EMI to contribute tracks to their forthcoming Band boxset, ‘A Musical History’, and set to restoring the tapes with sound engineer Peter Moore. A decade later, and all the Dylan sessions have been cleaned up and delivered for this release – a long and arduous job, with Garth participating; his contributions, according to Haust, proved “very, very revealing”. “It’s quite marvellous to be able to have the original producer of these recordings there with us,” Haust enthuses. “We were very fortunate to be able to work with him.” Garth was able to recall first-hand the special acoustics of the basement. The renovation process involved more than just studio playbacks, however. Aside from having to investigate and find the remaining elusive tapes that weren’t in Garth’s personal collection, Haust and Moore braved the unenviable task of salvaging and repairing the half-century-old tapes, which had deteriorated over time. “They were fairly dry, there was some mould, and there was one tape that was stretched somehow, or crinkled,” Garth confirms. They required custom-built tape heads to meticulously transfer the reels (from the same company that provided Neil Young with the equipment to renew his own tapes for his ‘Archives’ collection), and retrieve its original contents. What they’ve achieved, in ‘The Basement Tapes Complete’, is a crystal-clear window into the past. The warmth and definition of this new release is testament to Haust, Moore and Hudson’s efforts, and perfectly captures the earthiness of those sessions. 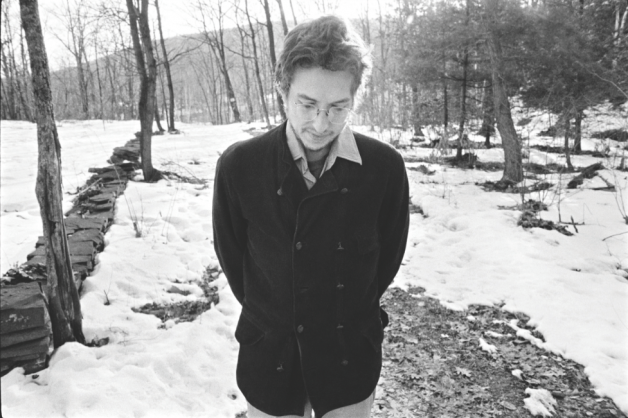 True enough, in being privy to Dylan’s improvisations, the musicians’ tentative takes and the joyful indulgence of all concerned, the listener is taken back to the point of conception, finding Dylan at the crossroads, and The Band at Year Zero. It’s difficult to imagine the impact these combined forces had on music and the world. A few dozen 14-track acetates were produced in late-1967/early-’68 for Dylan’s original publishing purposes, two of which made their way into the hands of Eric Clapton and George Harrison. In the wake of their exposure and continued appreciation, Clapton split his heavyweight supergroup, Cream, while Harrison – after making a pilgrimage to Woodstock and visiting Dylan and The Band – eventually walked out (albeit temporarily) on The Beatles; both aspired to the natural and holistic sounds that captivated them. History was changing, and Big Pink was in the eye of the hurricane. Bob Dylan, as we know, finally emerged from hiding in December 1967 with ‘John Wesley Harding’, before consolidating the country rock sound he pioneered with ‘Nashville Skyline’ in 1969, and progressed into the ’70s as the single most influential songwriter of his generation, his post-basement work markedly more self-conscious than what came before. For The Band, persisting as mere backing musicians was no longer an option. “We needed that time to secure our position in the industry,” Garth says of their enterprise. “It had to be proven that The Band could write most of the songs.” ‘Music From Big Pink’ followed in July 1968, and included three Dylan co-writes that dated back to the basement. It was the prelude to a distinguished and influential career that formally came to a halt in 1977 when main songwriter Robbie Robertson announced their split. The remaining members reunited in 1983, persevering after Richard Manuel’s suicide in 1986, but ground to a halt after Rick Danko’s death in 1999. In 2012, Levon Helm succumbed to cancer, leaving Garth and Robbie holding the reins of The Band’s significant legacy. 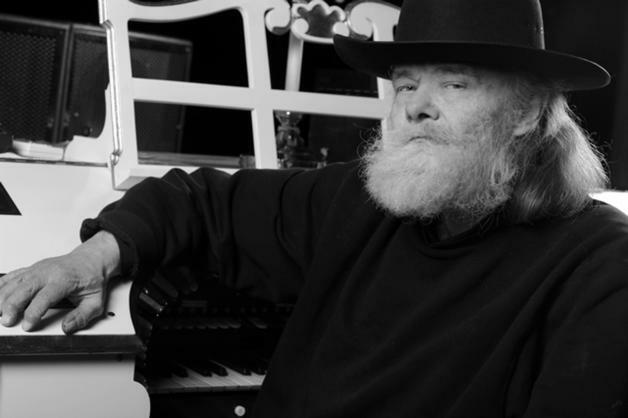 This pivotal period of gestation in the basement is therefore extra meaningful to Garth Hudson, who is thankful to Bob Dylan for the opportunity he gave The Band, and his best friends, who grasped it, and turned it into magic. “Bob showed us that source material is everywhere and beauty can be apprehended anywhere, anytime,” Garth concludes. ‘The Basement Tapes Complete’, and the endeavours undertaken to release it, is tribute enough. The long-awaited Levon And The Hawks collection is due in 2015 (we’re promised), but in the meantime do yourself (plus Jan, Peter and Garth) a favour and experience the product of 20th century music’s greatest pairing and bear witness to the dawning of a new era. It’s time to go downstairs.